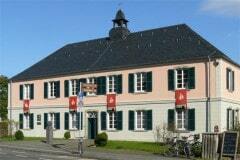 In the house located Sebastianstraße 182 in Bonn-Endenich, the composer Robert Schumann spent his last years of life. 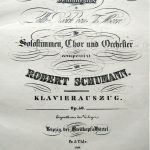 Today, there are the music library of the federal city of Bonn and the Schumann memorial rooms. 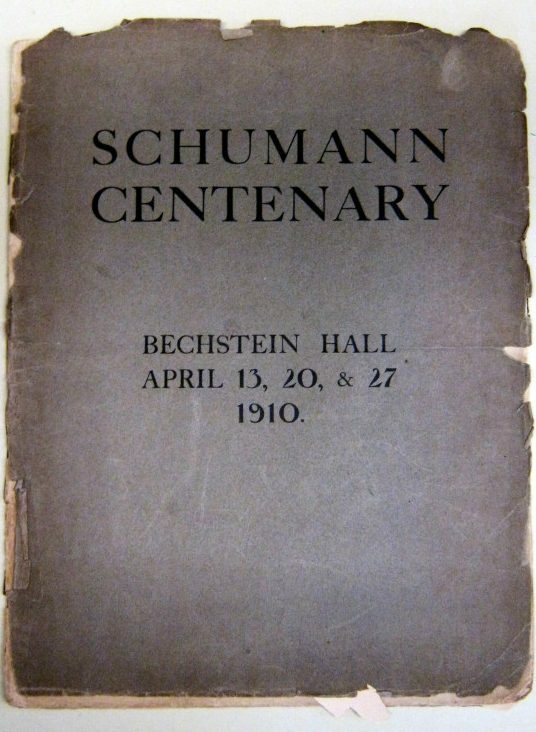 The Schumannhaus hosts concerts, especially Schumann’s piano and chamber music. 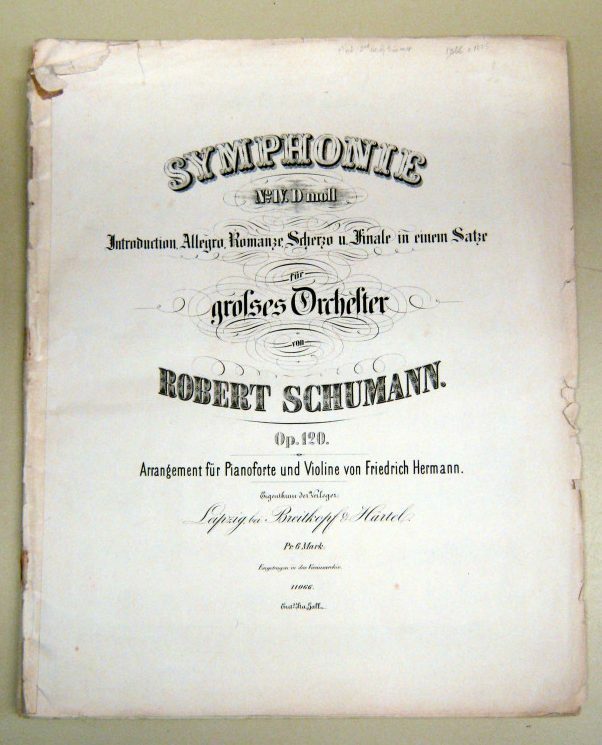 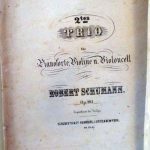 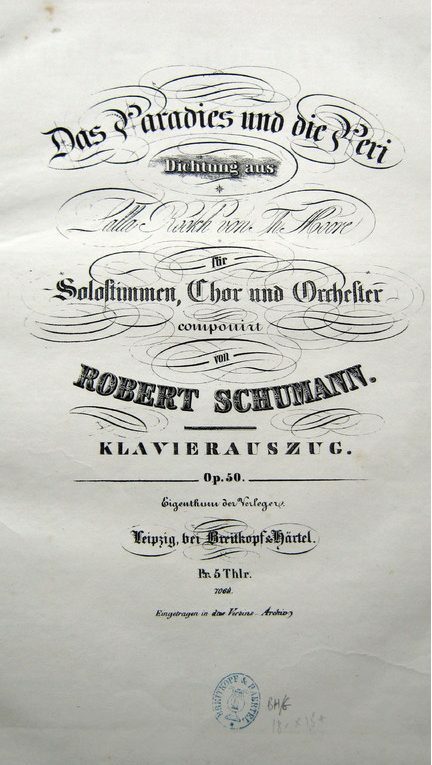 In 1846, during a prolonged health crisis, which prevented him from composing, Robert Schumann took the plan to record his life story. 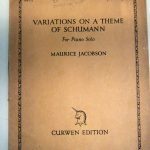 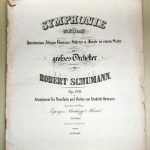 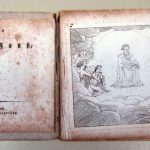 This project was carried out just as shortly afterwards as the project of a narrative with autobiographical features, into which Schumann’s earlier poems and musical essays were to be woven. 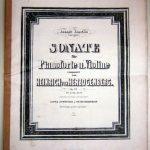 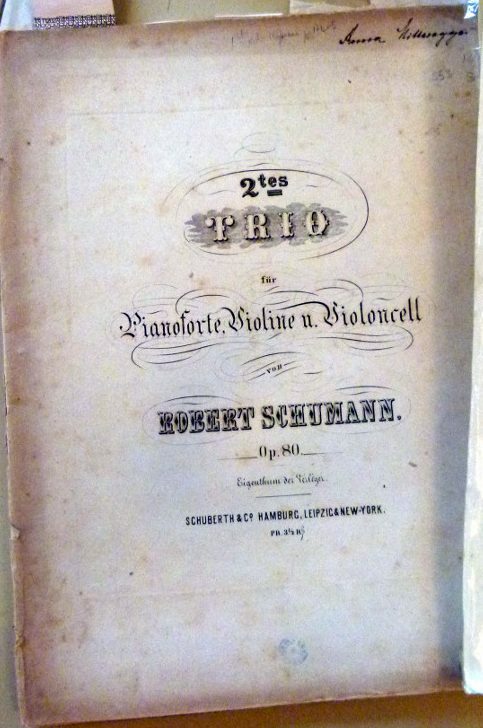 In the spring of 1854, in four volumes, Georg Wigand, in Leipzig, published the collection of essays, but without a poetic framework, in Schumann ‘s life, and he appeared as a “Collected Works on Music and Musicians” Century, Carl Maria von Weber, Hector Berlioz, Franz Liszt, and, last but not least, Richard Wagner, would also have the lead. 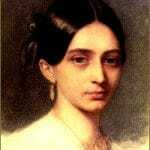 Clara Schumann née Wieck is considered to be the most important pianist of the 19th century. 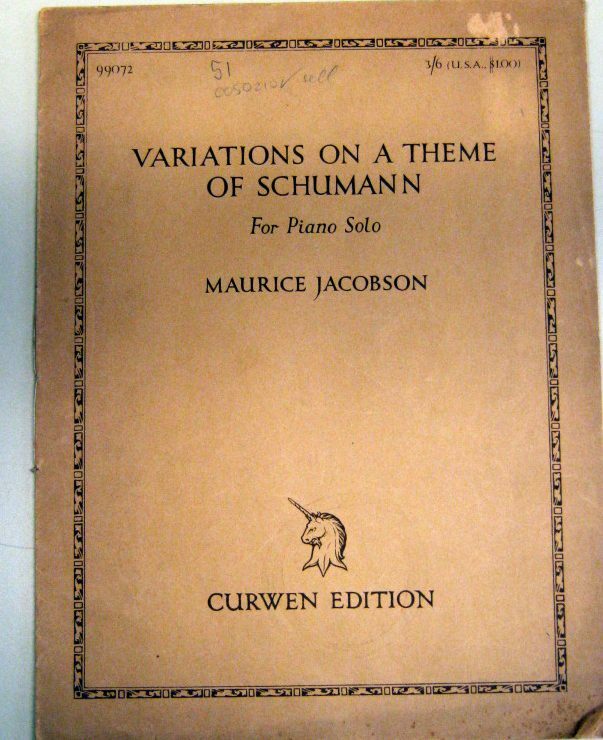 She was equal to her male colleagues like Franz Liszt, Frédéric Chopin or Ignaz Moscheles. 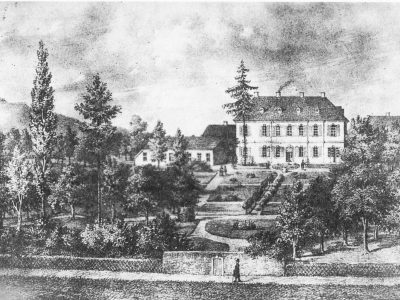 1844 move to Dresden (Waisenhausstrasse 35) for six years, then move to Düsseldorf. 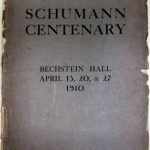 Compositions: songs, piano pieces, chamber music, a piano concerto. 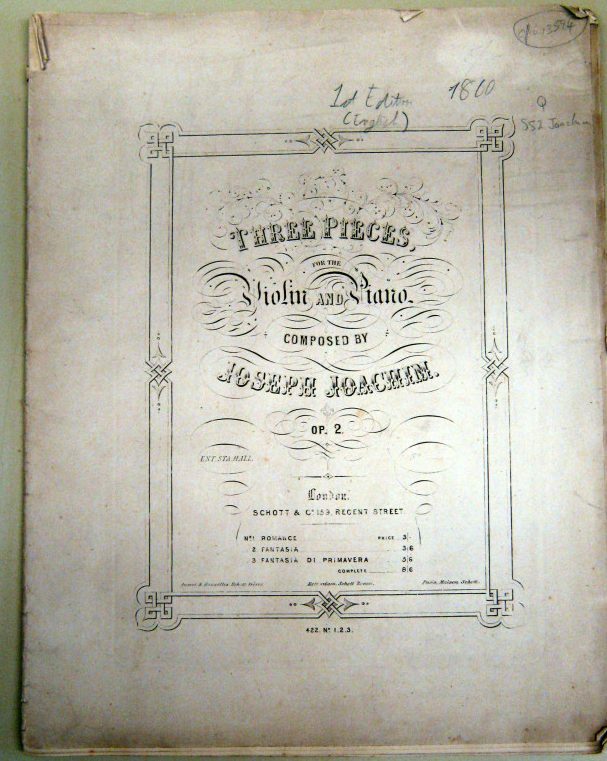 1856 widowed, together with Joh. 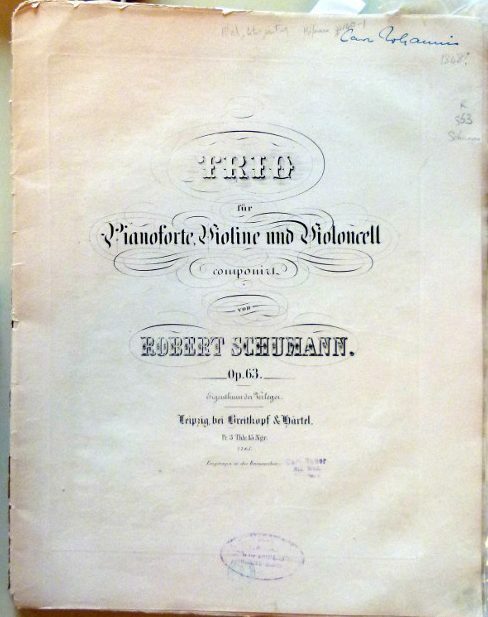 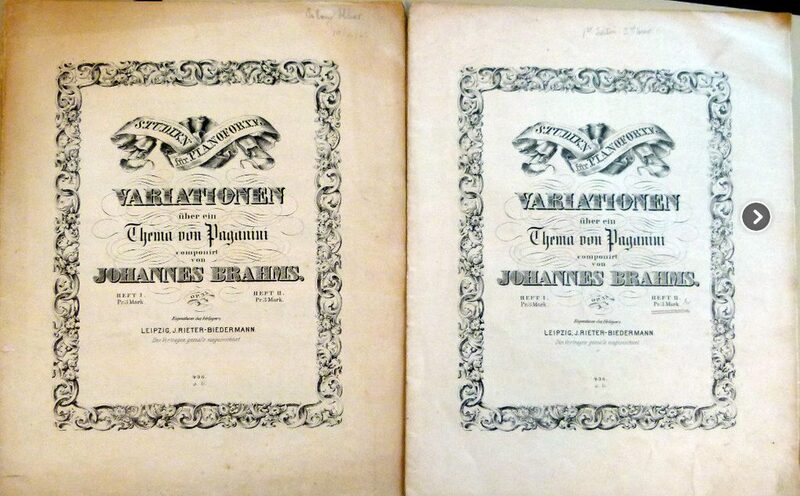 Brahm’s publication of her husband’s works. 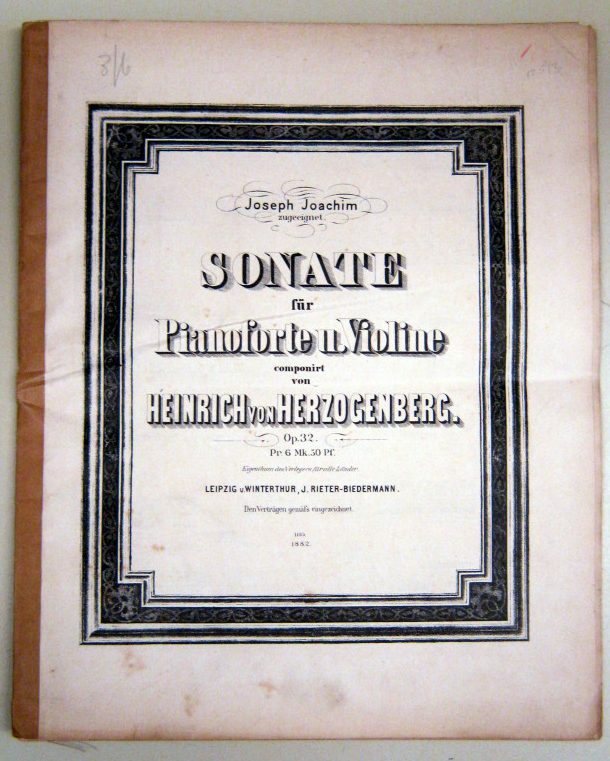 1878 as a teacher for piano at the university conservatory in Frankfurt am Main. 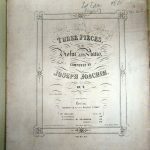 She gave lessons and began to publish her husband’s entire work. 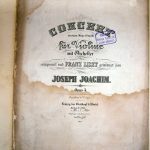 After a deafness forced her to stop her public teaching work in 1891, she taught until her death only privately and gave only private concerts to her friends. 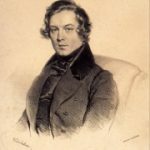 On May 20, 1896, the gifted pianist, who has so strongly influenced German and European culture, died in Frankfurt am Main. 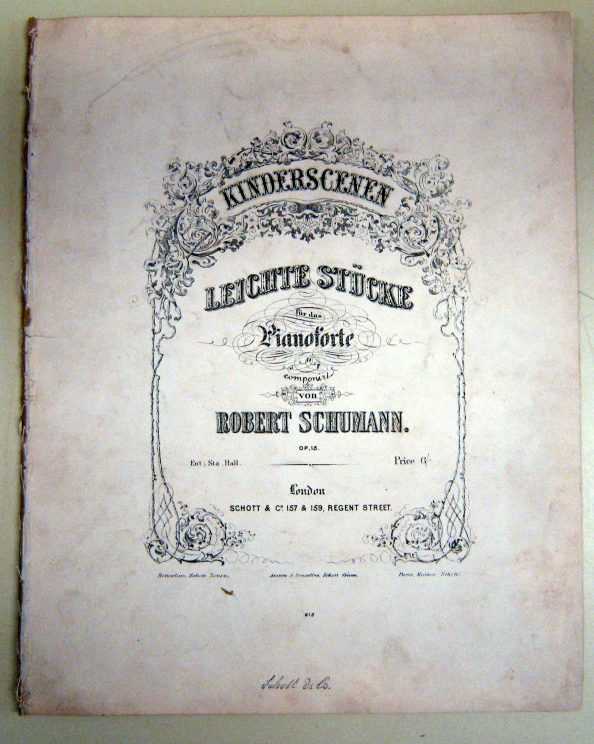 The Schumannhaus is the domicile of the Musikbibliothek, a branch of the Stadtbibliothek Bonn. 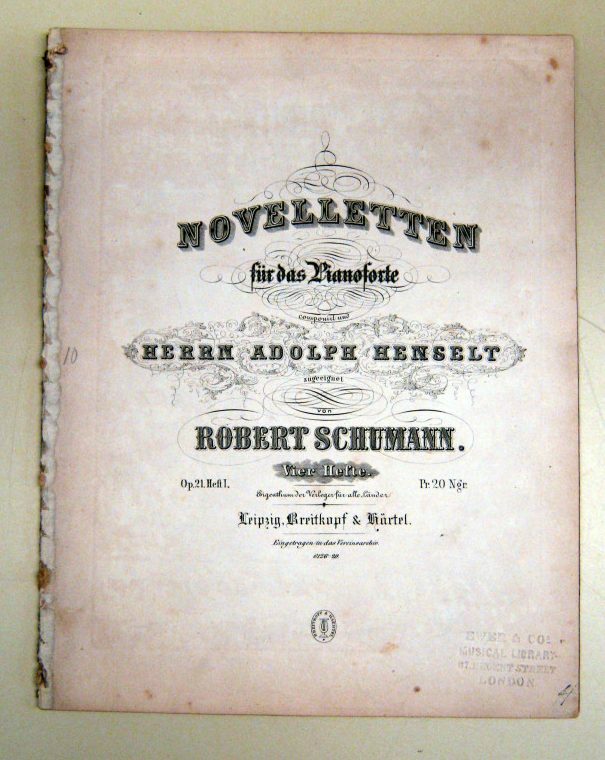 On the upper floor, the library’s reading room, also used as a chamber music hall for many years, borders two small rooms where Robert Schumann has lived since his arrival in the spring of 1854 until his death on 29 July 1856. 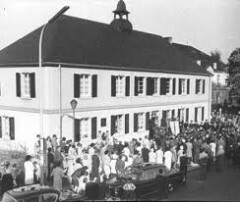 The entrance to the museum is free! 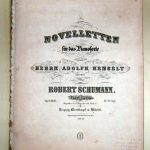 Geben Sie uns in der Musikbibliothek Ihre Mailadresse und wir benachrichtigen Sie kostenlos, BEVOR die Leihfrist abläuft. 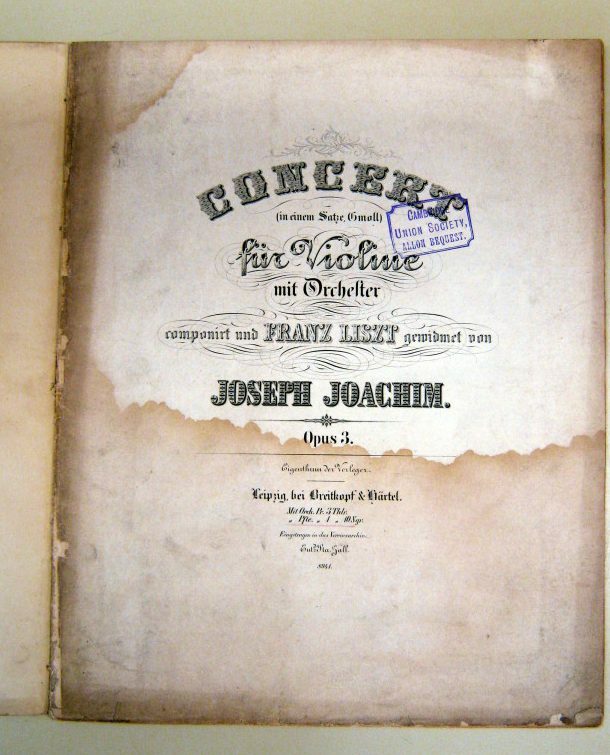 Joseph Joachim: Violinkonzert op.3, Franz Liszt gewidmet. 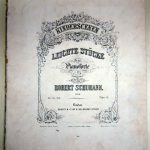 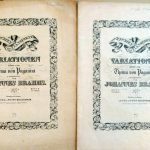 – Erstausgabe.– Leipzig: Breitkopf & Härtel, 1855? 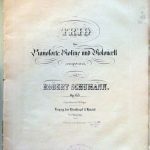 Schumannhaus Zwickau und Robert-Schumann-Gesellschaft Zwickau e.V. 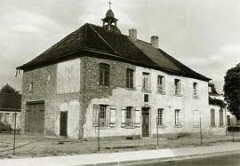 Schumannhaus Leipzig und Robert-und-Clara-Schumann-Verein-Leipzig-Inselstraße 18 e. V.